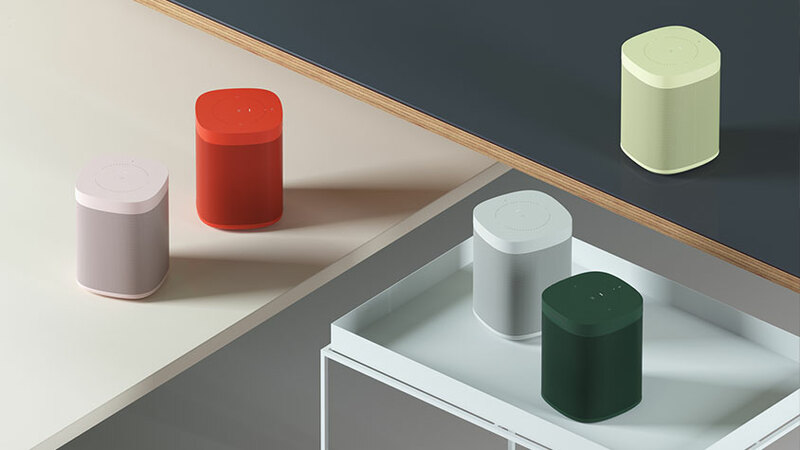 Exploring the relationship between sound and home design, Sonos and renowned Danish furnishings brand HAY have re-imagined Sonos One in five colors from HAY's 2018 palette. This limited edition collection celebrates the brands' shared values of accessible design, innovative manufacturing techniques and the transformative power of products in the home. • Enjoy surprisingly rich, room-filling sound. • Connects via wi-fi or Ethernet. • Free Sonos app required. • Use the app to manage all your music in one place: Amazon Music, Spotify, Apple Music, internet radio and 80 other streaming services globally. • Tune the speaker according to the size of the room or other environment. • Amazon Alexa ready so you can start and control music, playlists, podcasts, radio stations and more with your voice. • For non-Alexa supported music services, use your voice to pause a song, turn up the volume and other basic playback controls. For Sonos, the listener comes first—and they’ve developed their technology and products to meet the listener’s needs. Through global research involving 30,000 people, Sonos has proven a correlation between filling a home with music and filling it with happiness. Its mission is centered around the expression of sound in the home that fits customers’ home design choices. In HAY, the progressive Danish design brand, Sonos found a mutual commitment to creating accessible, modern products. Together, the brands explored the intersection of product and sound design in the home, adding the dimension of color to the Sonos One. This exclusive product run required 9 months of integration across many technologies and suppliers, tuning the material and paint selection to create a perfect color match with the HAY palette. The result is both a speaker that delivers unparalleled sound and a unique home accessory.